When I heard that Sarah McLachlan was re-launching Lilith, her estrogen-fest of women performers (for an audience of mostly women) I shrugged. When I read that this round of Liliths isn't going so well, I wasn't especially surprised, even though I couldn't say why. Ten-plus years ago, when my wife announced she and a buddy were attending, I parroted her response to my announcements that I was joining the boys to see the rock show: "Have a nice time, dear!" So maybe I'm not the guy to analyze why Lilith isn't working. When Chuck Klosterman asked Simmons about the chiefly male demographic devoted to KISS, Simmons responded, "You don't want a large female audience. If you rely on women to buy your albums you end up going the way of New Kids On The Block. Female audiences tend to be unfaithful." Does Gene know something Sarah doesn't? Roger Ebert is trying his hand at Rovean Science: go here to take his "survey." I chose the video game, out of pique. I'm starting to come around on the matter of video games as art. More than that, I think it ill-behooves America's Critic to give Swamp Thing three stars, then proceed to throw stones at the gamers' glass house. Lee Child has garnered a very loyal fan-base with his Jack Reacher novels, especially among the glossy mag corner office set. After David Granger suggested Child might be on par with Hammett and Chandler, I walked over to the library and picked up the first Child title my eyes set on: One Shot (A). I polished it off, and was happy for the experience, but the title might well be self-prophetic. Whether or not I reach for another Reacher novel is strictly a question of circumstance: if he happens to be the most attractive option then, yes, I'll read another novel by Child. Child's work is meticulous. He does wonders with the standard Road Runner storyline, building suspense with narrative distractions and sleight-of-hand (“Good Lord, that's a big cannon! How's the bird going to get the coyote to be the payload recipient?”). The Road Runner bookshelf is getting a bit crowded — Carl Hiaasen and Stephen Hunter are two other practitioners who come to mind — but Child stands out by keeping hero and hijinx somber: Reacher rights wrongs for personal reasons, some of which might seem high-minded at first glance, but usually boil down to an emotional, “I'm gonna git you, suckah. ” I'll take such bald narcissism over Hunter & Hiaasen any day: Hunter's heroes can't help but explain the ways of God to men, while Hiaasen's capers veer into the truly cartoonish. Neither of these writers became a habit of mine. Which gets me wondering: how does a writer reach out and hook a reader for life? There aren't many who have managed that feat with me; maybe it's not the writer, but the reader. There are two novelists I follow religiously who usually release a title a year: George Pelecanos and James Lee Burke. Burke got to me because I first read him shortly after an emotional break-up, a vulnerable moment when I could very much identify with a washed-up Catholic cop whose wife had just died. After that I wanted to keep tabs on my fictional “buddy.” As for Pelecanos, he writes crime novels: Road Runner wannabes generally don't fare too well in his world (yes!). After these two, there aren't many others I'll indulge with a yearly sit-down. Alright, let's open the floor: who are the writers you pick up, year after year? What's the “trick” that makes it work for these artists? Inquiring minds want to know. In the early days of parenthood I silently vowed I'd read everything my daughters were reading, to gain that precious insight into their developing psyches. These days as my daughters tip-toe through the minefield of adolescence (and I speed toward my fifth decade) that vow has proven itself . . . naïve. I can barely tolerate the novels I enjoyed in my 20s; what hope is there for me of ever finishing anything, say, Twilight related? That is why I am grateful for Laura Miller's survey of dystopian “YA” fiction. Both my daughters will tell you they can't wait for August, when Suzanne Collins' concluding book to “The Hunger Games” will finally hit the shelves. When the girls describe these and other books to me, my first reaction is fatherly concern: This sounds rather grim and bloody for a young girl — n'est-ce pas? My second reaction is a hesitant, Um, should I be reading this? That halcyon season of Bennett thrillers was a short one, to be sure. I can well remember the sinking feeling I had when I realized I knew the mysterious villain's identity within pages of opening the third book. Bennett's “O. Henry” template was too inflexible to cultivate a deep readership. There were also the pulps, and that sole Stephen King novel, which, had I known it was Stephen King, probably would have changed everything. After that it was “adult” reading: Alistair MacLean and Louis L'Amour inevitably leading to James Jones and Ernest Hemingway and all the rest of 'em. Getting back to Miller, she title-drops some of the dystopian “youth” novels from the past, but the only one I read was Z For Zachariah, which I thought was criminally tedious. The direct antidote to that book was The Road Warrior, one of the first “Restricted” movies I bluffed my way into. That movie was the YA book I'd wanted to read. Sure, a nuclear holocaust would be a downer — in reality. But I wanted a perilous, action-packed fantasy. It sounds to me like those are the books Collins is writing, and I'm just grateful someone's providing this for my kids. I hope you're reading Darko's perambulations on the World Cup. This series seems to have tickled his blogular receptors in particular. Even if you're a "highlights to follow" viewer, he's catching activity that exists just beyond the pros' field of vision. Now, off you go. With half the month nearly gone, and absolutely nothing of interest getting splashed across eMusic's front page, I took to perusing their charts to see what the common people were downloading. Somewhere on page 10, a few precious slots before Album #150, was a band called The Young Veins, pigeonholed as “Commercial Alternative.” I spent a few seconds trying to puzzle out the genre. This had to be an oxymoron: if it was alternative, yet so pleasing to the ear the listener was compelled to spend money on it, what, exactly, was this music an alternative to? Didn't its commercial viability make it "Alternative Alternative"? I clicked on the link to take a closer look. I liked the artwork to Take A Vacation! so much, I hit download without even bothering with the tiny track samples (e). The layout is straightforward 60s nostalgia, but the View-Master sealed the deal for me. I read the blurb by J. Edward Keyes as the tracks bitrated into my hard-drive — a flashy encapsulation completely in tune with the aesthetic, I thought. Then I moved the album to my player and set out on my day's activities. Take A Vacation! delivered 30 minutes of luscious musical escape. 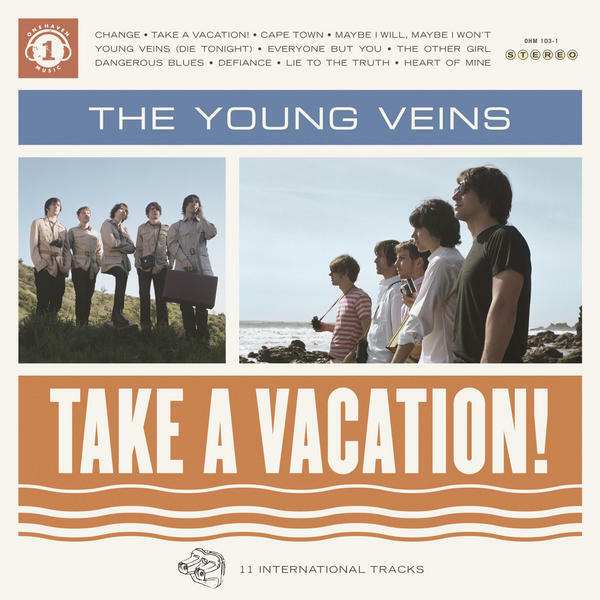 At first I compared The Young Veins (favorably) to Peachfuzz (wp), but the album occasionally shifted to a whimsical, meditative mode more in line with the pre-breakdown Brian Wilson. The moods and currents and sheer joy being thrown about makes this an ideal commuter soundtrack, almost certainly assuring its frequent play this summer. Don't just settle for the “new”, however: more than anything, as I listened to Take A Vacation! 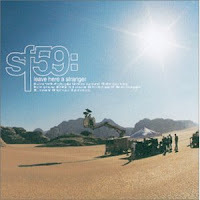 I was put in mind of Leave Here A Stranger by Starflyer 59 (A), one of the trippiest, most virally infectious and beguiling CDs in my collection. It's difficult to ascertain just what this dreamy disc is about, but I'd guess it speaks of the joys and ambiguities of life as a performer on the road. I can't quite believe this disc is 10 years old, but the dates don't lie. When it comes to music from the last decade, Leave Here A Stranger is one of those discs I consistently return to, right up there with Ry Cooder's I, Flathead and Yoshimi Battles The Pink Robots by The Flaming Lips. 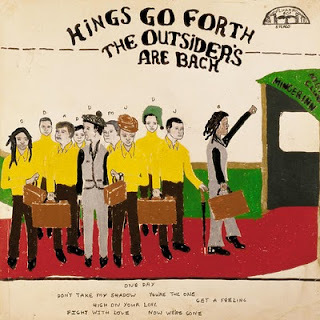 Finally, for those heat-of-the-summer moments that call for less Brian Wilson and a whole lot more Wattstax, you absolutely need to reach for The Outsiders Are Back by Kings Go Forth (e). The percussion may be thrust out front, but there is no modulating the force of the entire band. 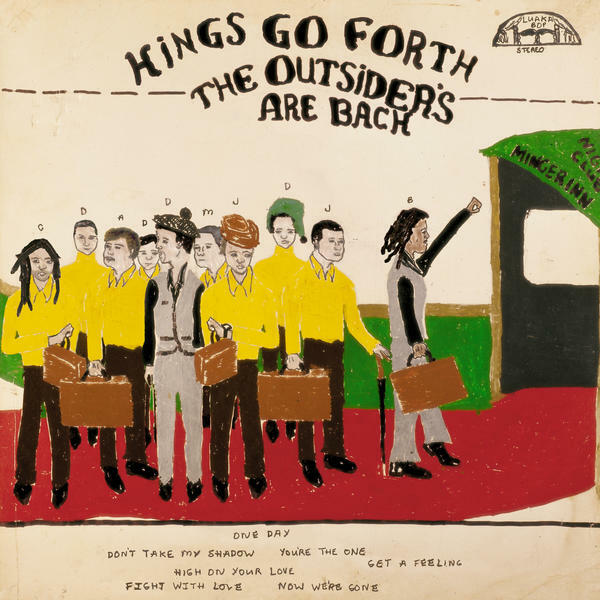 The Outsiders Are Back gives testimony to what must surely be an incredible act to catch live. Are we booking for a Wattstax 40th anniversary yet? I dread trips to the video store. When one child is 13 and the other 11 — and both are daughters — the critical gulf between entertainment values is nearly unbridgeable. So far as the girls are concerned, my choices are knee-jerk, spectacular failures. A recent happy exception, however, has been season one of Star Wars: The Clone Wars (A). Of course, it's not like the Lucasfilm drones have reinvented the wheel. During the first episode my wife and I exchanged a glance that read, “How many before we get to call it quits?” Each episode averages 25 minutes, so we committed ourselves to three. Quelle surprise: we got hooked! The writers and directors have cooked up some punchy confections for such a seemingly modest platform. There are tropes aplenty, but any student of commedia dell'arte will tell you tropes are the distractions entertainers wield in order to pull off the necessary surprises. In this regard, and in the visuals (especially impressive on these newfangled flatscreen televisions), season one of The Clone Wars delivers with panache. If you enjoyed any of the films (and I only enjoyed the first two) you will almost certainly find something to enjoy in this series. President Bush The First famously groused that he wished there were more families like the Waltons and fewer like the Simpsons. I hate to admit it, but as entertained as I've been by Matt Groening's kinetically dysfunctional cartoon family, I actually find myself agreeing with the former President's sentiment. It was not always thus. 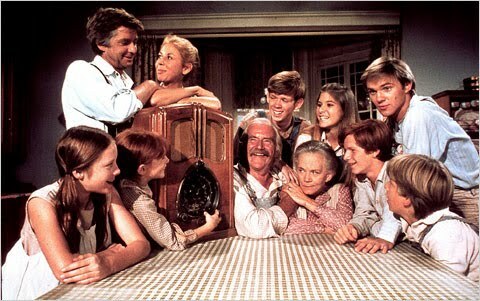 In my memory, The Waltons resided as a hokey bastion of conservative (read: “insular”) family values. Imagine my surprise, then, when I unpacked season one (A) and discovered a very conscious and deliberate exploration of liberal values. 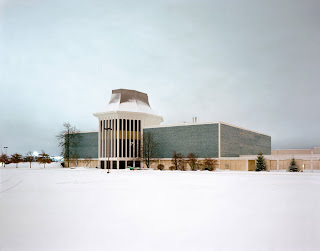 Pa Walton is an Emersonian mystic, Ma a devout Baptist; the rest of the family runs the gamut. Each is acutely aware of their individual biases and takes pains to put these aside and give due consideration to points of view they might originally find disagreeable, and doing what they can to cultivate common ground with difficult people. The resulting stories are often quite affecting. This is only the first season, mind you. Given how long the show ran, I'm guessing the knife-edge of acuity eventually dulled into a blunt hammer (“Hamner”?) of sentimentality. But at this point even my 13-year-old is engaged by the thought-provocations of season one. See you tomorrow night, John Boy. Last but not least, as with directors, there are rock singers I would love to love, but don't. Since Tom Petty has already been raised tangentially, I might as well come out and admit I've generally been cool toward his work. Hard to say why, really. He's aggressive, a trait I very much like in my rock 'n' roll; he's also self-pitying, which can appeal on occasion. Clearly he got the mix right for a great many fans — just not for me. Enter Tom Petty & The Heartbreakers: Runnin' Down A Dream — a four-hour(!) documentary directed by Peter Bogdanovich, another talent I'd love to love. Given this less-than-promising set of circumstances, it's a wonder I bothered with it at all. But my curiosity got the better of me when I noticed that Q Radio host Jian Ghomeshi asks every single one of his musical guests if they've seen this movie. Obviously Petty and Bogdanovich left quite a thumb-print on Ghomeshi's consciousness. Ghomeshi is a sharp guy with no small insight of his own; I had to wonder what, exactly, was the deal with this doc? Only when I watched the movie did it finally register with me just who Petty has influenced/worked with/been influenced by — namely, everybody who was anybody in the last 40 years of rock 'n' roll. 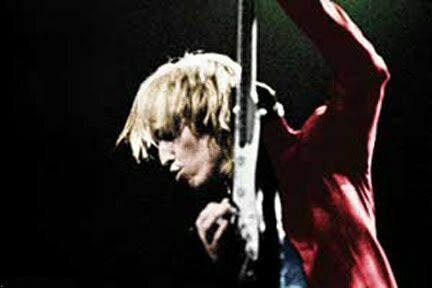 Even if you're not a fan of Petty's music, the man and his entourage have amassed an enormous quiver full of very entertaining stories, many of which have amusing video footage to match. I've watched this doc twice, and while I could have done without the footage of his current show (a typical late-in-life “extravaganza” where the jumbotron does all the heavy lifting) it remains an engrossing and revealing film about a scene that used to be The Only Show On Earth. Highly recommended, with one small word of advice: break it up into 40 minute installments (A).